A car crashed through a carpark gantry arm at Block 482A Admiralty Link before colliding into a motorcyclist on Friday evening (Oct 19). 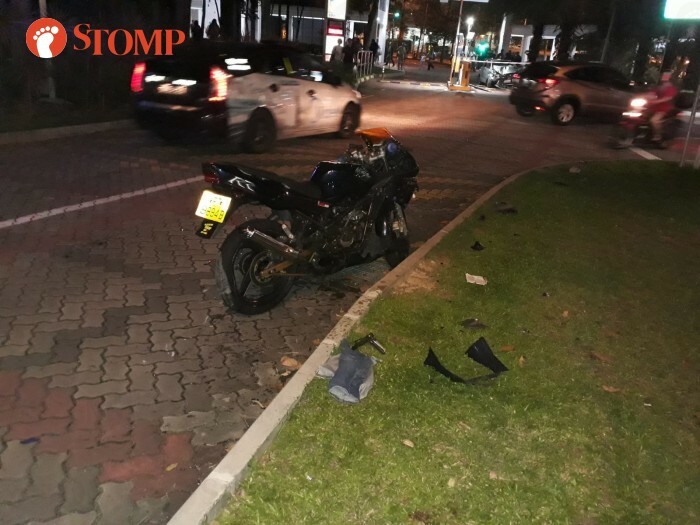 Responding to queries by Stomp, the police and the Singapore Civil Defence Force (SCDF) said that they were alerted to an accident involving a car and a motorcycle at the carpark's entrance at 6.17pm. The motorcyclist, a man in his 20s, was conscious when taken to Khoo Teck Puat Hospital. Stomp understands that he suffered abrasions on his arms and legs. Stompers Syualfian and S contributed photos showing a car with its front bumper mangled. Besides hitting the gantry arm, the car also appeared to have knocked down a metal railing. Debris from the motorcycle can also be seen lying on the ground. Syualfian told Stomp: "The motorcyclist was injured, while the car driver seemed okay. "The SCDF arrived as soon as possible and helped the injured." 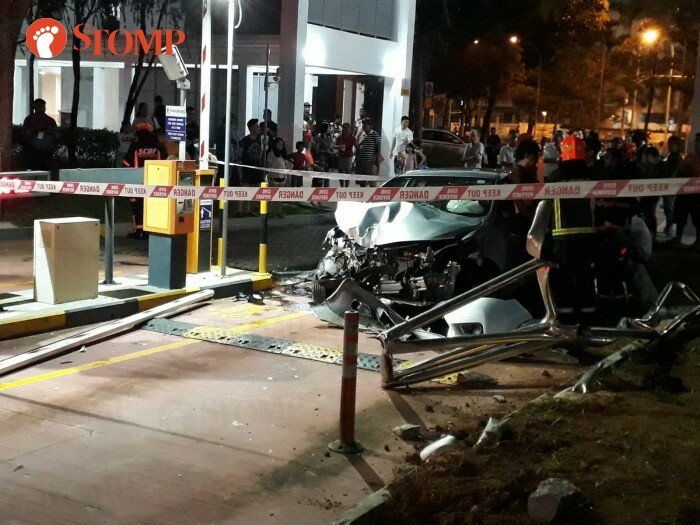 Stomp understands that the car driver had been exiting the carpark when he hit the gantry arm and collided with the motorcyclist. The car was said to have been driving out in a fast manner. 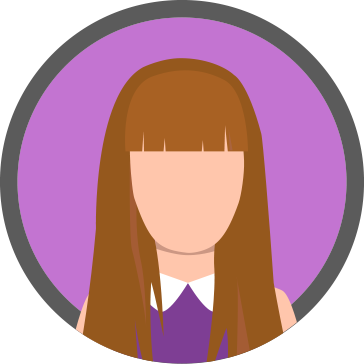 View more images in the gallery or watch S's video below.